Is it time for you to relocate? And are you thinking of doing it by yourself? Well, let me tell you, it is not as easy as you think. 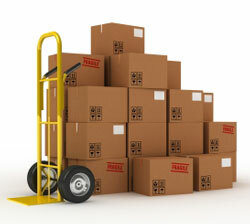 You will have to take care of the packing, transporting, loading, unloading, etc. It is frustrating and cumbersome. And thus my advice would be to hire professional movers and packers that can make the process easy and stress-free. I will give you five reasons as to why you should avail their services. 1. Relocating all by yourself can take you weeks or may be months. Primarily, you should have to plan and prepare yourself in advance. And since you don’t have the practice it can get extremely tiring. Nevertheless, movers in Abu Dhabi can do it all systematically and in a much shorter period. They will prepare an inventory of all your belongings. The same list will help you check whether all the things that were packed and sent by transport reached their destination as planned. 2. Most of the moving companies are very particular about the way they pack. They make sure different items are packed differently with the right packaging material. This ensures their safety and security. Also, you know that each item has been individually packed and grouped according to its texture and fragility. Besides, when they are properly labeled, you would know precisely which item to find where. 3. You’ll be organized. You won’t have to worry about a single thing. 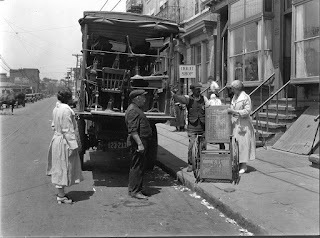 Just tell them the needful and your goods will be transported the way you’d seen them last. In short, the move will be hassle-free for you. 4. Since most of the movers and packers have their own mode of transport you won’t have to worry about arranging on for yourself. They would make certain that your things are cautiously uploaded, and transported to their destination, unharmed. Additionally, just certify that you have been insured against damage of goods in transit. 5. You will have to pay, but the rates will be economical than the cost you would incur for doing it yourself. Over and above, you will save yourself from so many troubles. In a nutshell, hiring the services ofpackers is definitely better and safer. Make your move today. All the best!